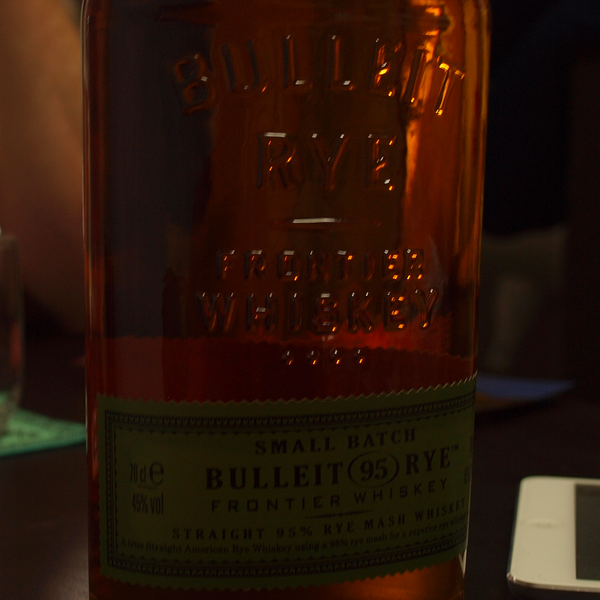 In this bumper-sized installment of Whiskey Business, the Business Lads went up against the formidable (read: STRONG) Bulleit Rye. As you might be able to tell towards the end of the episode, we came off second best. Your intrepid hosts tackle such topics as cookies, Wes Anderson movies, fat kids, SNL and Will Ferrel, the brutality and naming conventions of Australian children's games, and much, much, much more! Listen to Karl get angry at Anchorman quoters (and be wrong about A LOT of facts from word usage to various nuts, but not about Anchorman quoters), Mel get creepy (and borderline future blacklisted from Karl's apartment) and a little too creative in the kitchen, and Rog remains (at least comparatively) calm and classy, while showing potential as a future translator. And then listen again, not because you restarted the podcast, but because as this particular Bulleit passes through our bodies, minds, and hearts, things get a little repeaty. Ooops. But then again if you do want to repeat the podcast, hey thanks, we appreciate it!